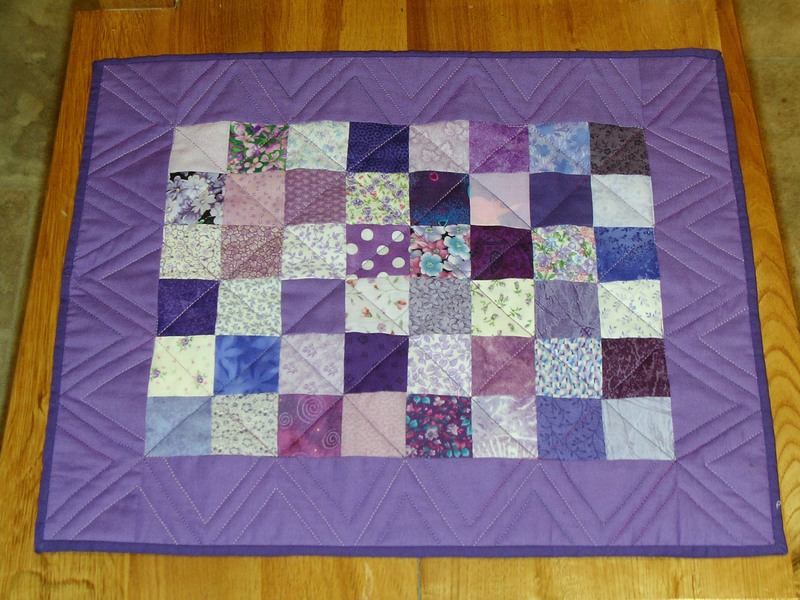 Here is my project for Judy’s February Monochromatic Challenge — a Violet doll quilt, and it’s already finished! This is a free pattern is called Civil War Doll Quilt, and it was designed by Kathleen Tracy. To see how other quilters are progressing with their Stash Reports this week, please visit Judy’s blog Patchwork Times for a list of links.